♦Republicans send the message: "No Gitmo prisoners in CO"
Republicans send the message: "No Gitmo prisoners in Colorado"
There are only a few times a session when every Republican at the state capitol chooses to sponsor a piece of legislation – Senate Joint Resolution 16 - 011 is one such example. In an effort to close the military base in Guantanamo Bay, Cuba, the Obama administration is considering relocating many of the enemy combatants to Centennial Correctional Facility in Canon City. In order to complete the transfer, the administration would direct the Department of Defense to lease part of the prison complex to house these terrorists. SJR 011 sends a strong message that Colorado should not be the new home to any of these individuals currently held at the Guantanamo Bay Detention Camp, and supports the Governor's position to block the transfer. As the representative for Canon City, I chose to carry this resolution in the House and help my fellow colleagues understand the gravity of this terrorist transfer. This facility already holds some of the worst terrorists of our time, and as a result, it requires local law enforcement to direct time and resources away from their normal responsibilities in order to prepare for prison visitors and inmate sympathizers. The existing terrorists' presence has increased the potential for sympathizers to use violence to protest their incarceration, and also requires law enforcement be ready to defend non-violent sympathizers from community retaliation. A member of the Florence Police Department spoke to this issue, explaining that when just one high-risk group came into the area to visit an inmate, an additional 12 officers were needed for security. Adding dozens more terrorists to this facility will further strain local law enforcement's resources and impact their ability to serve and protect this community. Senate Resolution 011 passed the Senate, with every Republican and seven Democrats voting in support. The Resolution will be in the House next week, and I expect it will pass and be presented to the Governor in the coming weeks. Unfortunately, the state legislature does not have the authority to stop this transfer, but we can reinforce the Governor's position to defend Colorado and push back against the Obama administration and this unprecedented terrorist transfer into Colorado. Thank you for taking time to read our newsletter and please feel free to contact me if you have thoughts or questions about this resolution or other pending legislation. 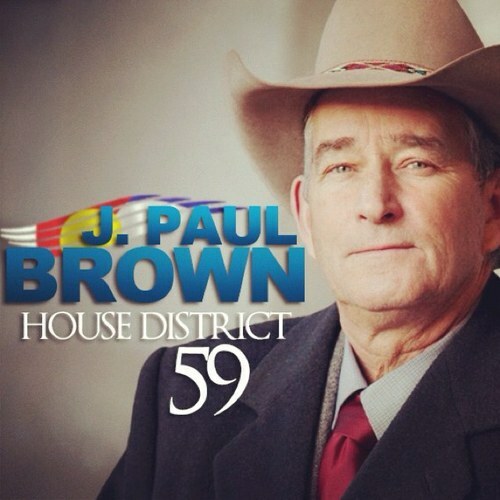 You can keep up with all of our caucus updates by following us on Twitter and Instagram, liking us on Facebook or visiting www.COHouseGOP.com. 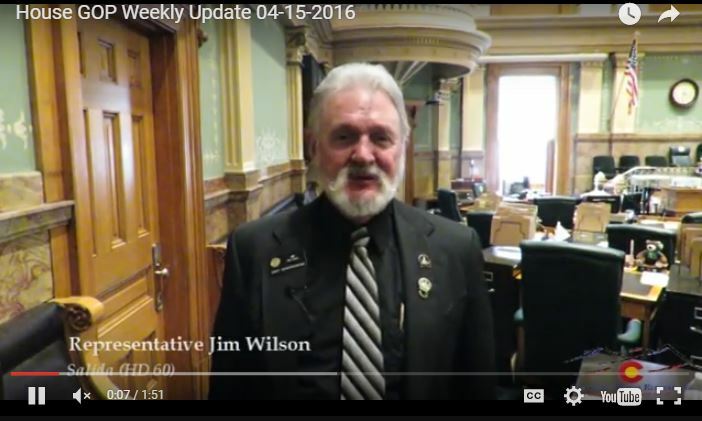 Representative Jim Wilson (R-Salida) talks about two good Republican bills that passed the House and what's to come in the last few weeks of session. Click Here for more Weekly Updates and GOP videos. It was an honor to be a sponsor of this memorial. This state is a better place because of Rep Hoppe's great work. Our South Platte River Water Storage Bill, HB16-1256, was passed unanimously on third reading in the House yesterday. 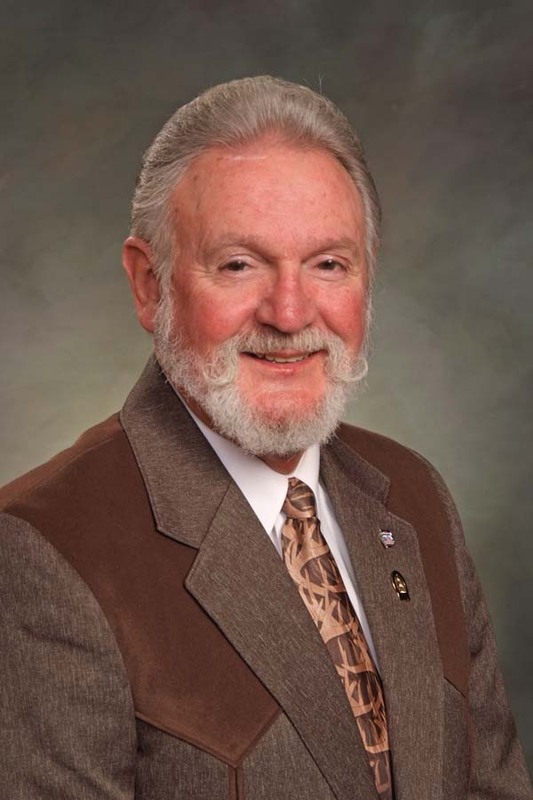 This bill will require the Colorado Water Conservation Board to accumulate the information needed to make good decisions on where would be the most cost effective place to store the water that is wasting out of Colorado on the South Platte. Representative Lois Landgraf (R-Colorado Springs) greets Veteran's Caucus attendees. Assistant Minority Leader Polly Lawrence (R-Roxborough Park) and Speaker Dickey Lee Hullinghorst present their bill to alter funding to the Science and Cultural Facilities District. Representative Cole Wist (R-Centennial) talks with Secretary of State Wayne Williams prior to the governor signing his bill, House Bill 1189. You can keep up with all of our updates by following us on Twitter, liking us on Facebook or visiting COHouseGOP.com.